When you are looking for rubbish removal service to help in removing junk from your property, you want a team who will make the rubbish collection process straightforward and hassle-free. At Quick Rubbish Removals, we can take care of your junk clearance needs. We provide professional rubbish removal services at low prices based on the amount of waste we collect. Whether your rubbish removal Liverpool need is to dispose of a few items or want to remove big bulky items, we got you covered. Quick Rubbish Removals can handle waste collection in a professional and environment-friendly manner. Whether you are looking for rubbish clearance for your home or office, we have the proper service you are looking for. We can collect any rubbish at short notice. Our customers are the priority, and we do whatever it takes to keep our customers happy. Our Rubbish Removal Liverpool team is friendly, quick, efficient and conscientious at all times. 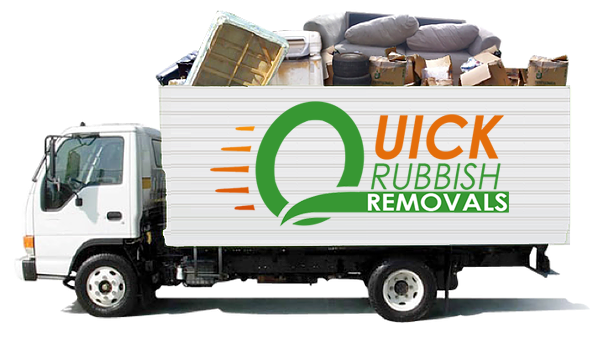 So, email us today at info@quickrubbishremovals.com.au. Or give us a call on 1300 558 567. Our rubbish removal service will not only provide removal of your junk, but we will also do all the lifting, rubbish loading and recycling while you sit back and rest! Quick Rubbish Removals has a well-trained and highly efficient team of moving experts. We assure you to meet all of your needs.